(VEN) - Vietnamese tourism got off to a promising start in 2018, with over 1.4 million foreign visitors in January, up 42 percent over the same period last year, according to the General Statistics Office. Hanoi, specifically, plays a leading role in this surge. Vietnam has set a target of hosting 25.4 million tourists in 2018 (seven percent higher than 2017), including 5.5 million foreign visitors and 19.9 million domestic visitors, with total revenues of VND75.78 trillion plus, nine percent more than 2017. Given the capital’s 2017 achievements, the city is expected to be a key player in this year’s tourism results, too. In 2017, Hanoi welcomed 23.83 million visitors, nine percent more than in 2016. Foreign visitors totaled 4.95 million, 23 and 15 percent higher than 2016 and the target set for the year. The city earned total tourism revenues of almost VND71 trillion, 15 and 6.7 percent higher than 2016 and the target. The Republic of Korea (RoK), Japan, France, America, and Germany were the biggest source markets of Hanoi tourism. The city has been ranked seventh on a new list of the world’s fastest-growing tourism cities with a 16.4 percent average annual growth in the 2009-2016 period. It has also been ranked third on the list of world top 20 destinations that visitors want to visit. 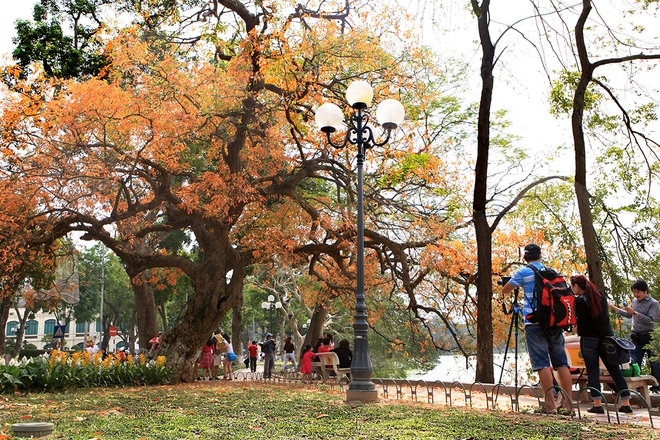 The Hanoi Department of Tourism attributes the achievements to efforts by authorities and the city’s travel businesses in expanding tourist offerings, including Hanoitourist’s Hop on Hop Off buses, APT Travel’s Hanoi Feeling tour, and tours to ancient Vietnamese capitals offered by the Hanoi Department of Tourism in collaboration with other provinces and cities. General Director of the Vietnam National Administration of Tourism (VNAT), Nguyen Van Tuan, says Hanoi should play a core role in creating tourism breakthroughs in 2018 to help the country reach its target of attracting 15-17 million foreign visitors and serving 78-80 million domestic visitors this year. To that end, Hanoi is developing a series of promising, new tourist offerings. These include a sports park as part of the Tuan Chau international tourism and recreation complex in the Tuan Chau eco-urban area, projects to preserve and develop the Bat Trang pottery and ceramic village and the Van Phuc silk village into national and international standard tourist attractions, and a project to develop the Kim Quy cultural, tourist and entertainment park. 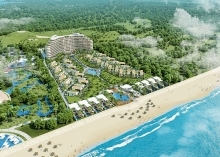 The city’s tourism department will also focus on improving the quality of existing attractions and programs, direct travel businesses to build and develop unique tourist offerings, including tours to iconic landmarks such as the Imperial Citadel of Thang Long, Van Mieu-Quoc Tu Giam, Ho Chi Minh Mausoleum, and Hanoi’s old quarter. At the same time it plans to strengthen tourist promotion through international tourism fairs, annual meetings of the Council for Promoting Tourism in Asia (CPTA), promotions on CNN television, and continuing tourism cooperation with provinces and cities nationwide, foreign embassies and international organizations in the city. While participating in the ASEAN Tourism Forum (ATF) 2018 in Thailand, Vietnam introduced various new activities, including promotion of the Hanoi-Ninh Binh-Ha Long tourism route that features some of the north’s best loved tourist attractions.